You can thank a brutal natural disaster for the invention of no-melt ice cream. 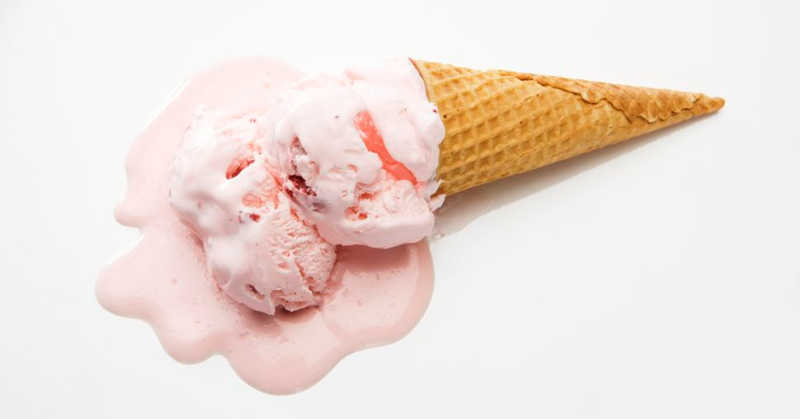 According to National Geographic, no-melt ice cream was accidentally created after a 2011 tsunami in Japan damaged the country’s strawberry fields. Due to the widespread damage of the fruit, they could not be sold as whole pieces. Therefore, a pharmacy professor and his team decided to make an extract from the strawberries, and use it as an ice-cream topping. However, instead of being a delicious topping, the extracted strawberries, also known as liquid polyphenol, acted as a binding agent creating a frozen dessert that can stay at room temperature for an hour without melting. A battery that only need to be charged once a week….I wonder if Jamie Foxx’s character in Annie was partially based on this genius inventor.